Software to manage your keys and assets. What is Key Control Software? 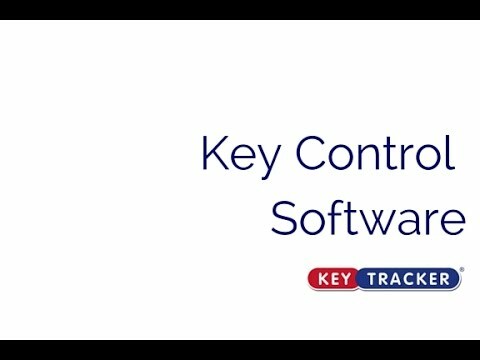 Key Control Software (KCS) is a simple yet powerful key tracking web application designed by Keytracker Ltd.
KCS software has been designed and developed with many potential uses in mind, the primary purpose being to track keys. KCS allows you to store all key information within the database; you can then add all of your staff/users to the database allowing you to track your key movements. You can do this by ‘checking keys in and out’ of the application. This then creates an audit trail of movements which you can export to a spreadsheet file. This gives you the ability to quickly see at a glance who has what key at any time. KCS allows you to set permissions within the software, such as who can take what key, making it fully customizable- you can even upload your own corporate branding! 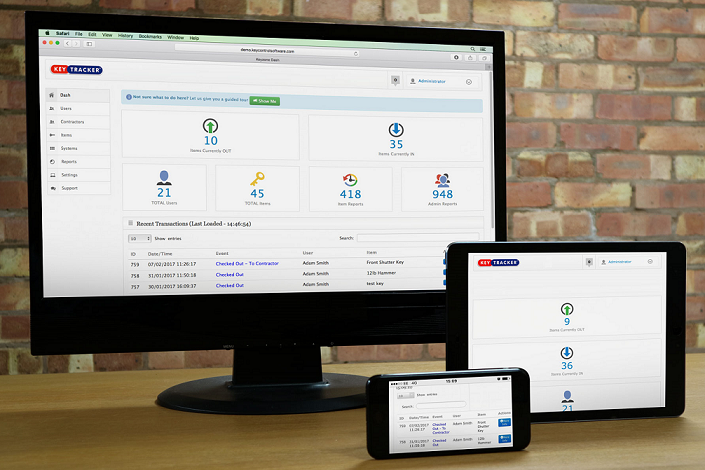 KCS can be hosted on either a dedicated Keytracker server or installed onto your local network server. 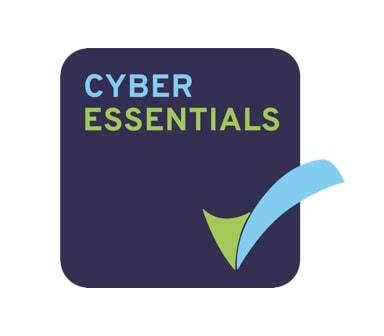 You can access KCS using a wide range of devices from PC’s, laptops, tablets and smart phones. Scroll down to find out more about KCS’s features and how it can successfully help you to track and manage your keys. Keep track of your keys and Assets with the click of a button. Keep track of every action and build reports. Keep track of all events and daily happenings in KCS. KCS has been designed to work on all screen sizes. Keep track of your users and their items. KCS was designed for users of any skill level to use. KCS gives you complete control over what users can access and what items they're allowed to have. Keep track of your keys and assets. Keep track of your keys via the "All Keys" tab found in KCS. This feature will show you all the current items from new to old, with information such as the group the item belongs to, the status of the item (checked in or out) and if the key requires a signature at the point of checkout. Keep track of users and their access levels. Keep track of your users via the "All Users" tab found in KCS. This feature will show you all the current users in the software and what items they have against their profile. You'll also be able to control what they can and can't access and which items are allowed out on their account. Keep track of every event and transaction. Keep track of transactions that happen throughout KCS. The "Key Reports" report builder allows senior staff to create reports of user transactions. This feature displays the time and date of the event, the user that triggered the event and what event it was. Events include: adding, editing and deleting a key. Adding, editing and deleting a user. Adding, editing and deleting a user group. Web login, failed web login, key data import, user data import and import failed. Edited settings and logo change. KCS also gives you the option to export these reports to CSV to later use in an excel document. The layout of KCS is minimalist and straight-forward, learning how to use KCS takes little to no time at all. KCS will become part of your daily routine, ensuring there are no more missing keys. Usability is a must, so KCS has been designed to work across all kinds of devices, from to phones to PCs. This enables users to use KCS on virtually any modern device that has access to the internet. KCS gives you complete control over your users. reporting process we follow more accurate especially in the calculations of staff overtime claims."